At Steven T. Cutbirth DDS in Waco TX, the dentist urges all of our patients to brush and floss their teeth at least twice a day. This very good habit is the single most important thing you can do to maintain your dental health. What kind of toothpaste should you use? We have no one-size-fits-all recommendation. One patient might ask about whitening toothpaste, and another may need something for sensitive teeth. Whiteners. The most common toothpaste whitener is hydrogen peroxide, but there are others, like polyphosphates. While they do a modest job whitening teeth, many experts agree that the whitening agents aren’t strong enough, or in contact with the teeth long enough, to do a really good job. To get really white teeth, try professional whitening at our office. Desensitizers. Some people’s teeth are more sensitive to hot and cold foods than others. And some are more tactile-sensitive. 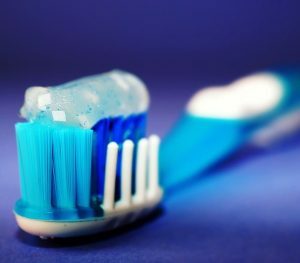 Used on a regular basis, desensitizing toothpastes can be very effective, but it’s a good idea to get our input first. Before you settle on a toothpaste, we suggest you ask us for our opinion, and what might be best for your particular set of teeth. Always read the label, and make sure the toothpaste you’re considering has the American Dental Association label. If you see it, it means the ADA considers it safe and effective. Whatever you choose, brush and floss twice each day! At Steven T. Cutbirth DDS in Waco TX, we offer general dentistry and many other services. Schedule an appointment with us today.